Digital People, the award-winning digital recruitment agency, has been confirmed as the first corporate sponsor for eCommerce Show North. The two-day expo, the biggest ever gathering of eCommerce companies, vendors and suppliers to be held outside London, will take place at Event City in Manchester on October 11th and 12th. Digital People will be sponsoring the lanyards at the event. 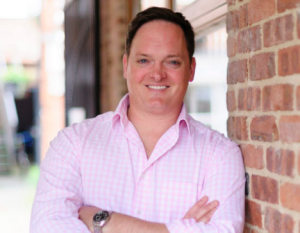 Founder Ed Schofield said: "With almost 20 years in the digital industry ourselves, we're hugely excited about the future for Manchester, which has a greater concentration of e-commerce start-ups than anywhere else in the UK. "With plans now underway to open a new Digital People office in Manchester in 2017, we are looking forward to building long-lasting relationships with, and serving more customers in the North, and to helping them secure the best digital talent the region has to offer." 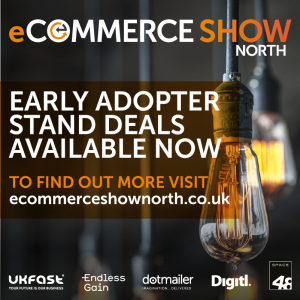 Stands at eCommerce Show North start from just £2,000 +VAT for those booking early. Stand sizes range from 2m x 2m all the way up to 10m x 6m, and all costs include a shell scheme stand, a name board, a 13 amp fuse and lighting. We can also accommodate prebuilt stands.